Want to scare your guests this Halloween with some terrifying dishes? The following 10 scary foods might just do the trick – but we doubt you can get most of them outside of their country. They’re that bad! 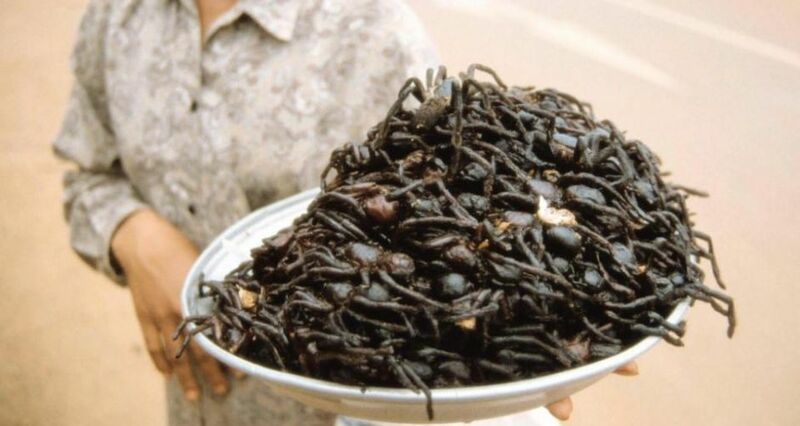 When it comes to scary foods, you don’t get much scarier than A-Ping, which is a palm sized black tarantula species that’s a culinary delight in Skuon, a small Cambodian village that’s north of Phnom Penh. It’s often called “spiderville” due to the many street vendors who sell trays of whole arachnids, which can be fried with garlic, sugar, spices and salt until their legs are nice and crispy. Sounds delicious! Pinkies sounds like a cute name for a food, right? Well, you probably won’t think it’s that cute when you learn that they’re newborn mice and rats. 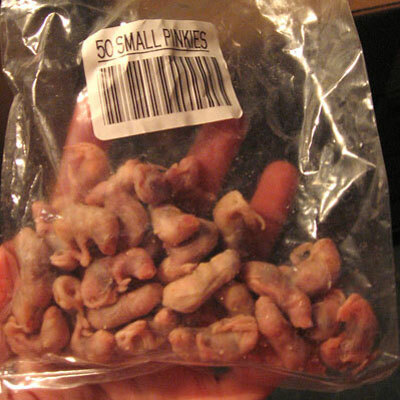 Pinkies are eaten whole in some parts of Asia, and can either be crispy fried or grilled. 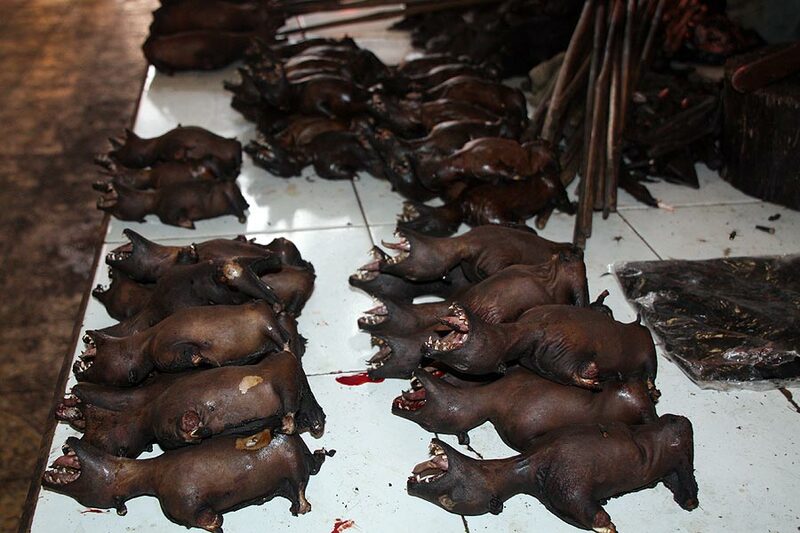 Barbecued bat is a popular dish in Indonesia, and is often served at local restaurants or on street carts. Most cooks will singe off the bat’s fur and remove the wings and head. The bat is usually chopped up to make a stew or stir-fry. Planning on heading to Texas, USA, anytime soon? Don’t be surprised to find fried rattlesnake on the menu. 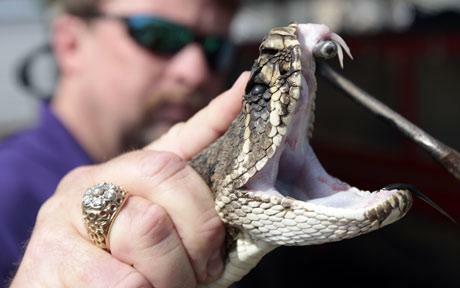 The snake dish is a delicacy in the Lone Star State, and the reptile is decapitated, has its blood drained and is marinated in sweet milk before coated in cornmeal and deep-fried. Apparently it tastes just like chicken. We’ll take their word on it! 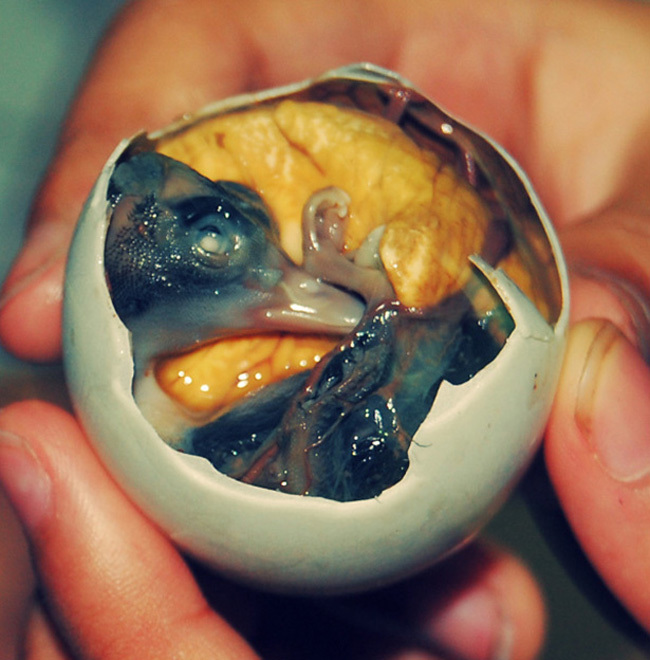 A balut is a developed duck embryo that’s boiled alive and eaten in its egg. It is a dish that’s often served with beer in Southeast Asia. We’re pretty sure 1,000 year-old-eggs taste just as good as they look! 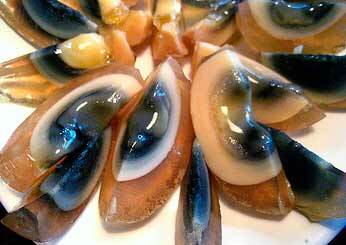 This Chinese delicacy is made by covering raw duck, chicken or quail eggs with a mixture of clay, ash, quicklime, salt and straw. The eggs are then left to sit for weeks or even months to cure. The yolks turn green whilst the white transforms into a transparent amber jelly. The eggs are often served with pork or tofu, or as part of a cold finger food banquet platter. We’ll stick to sausage rolls, thanks! 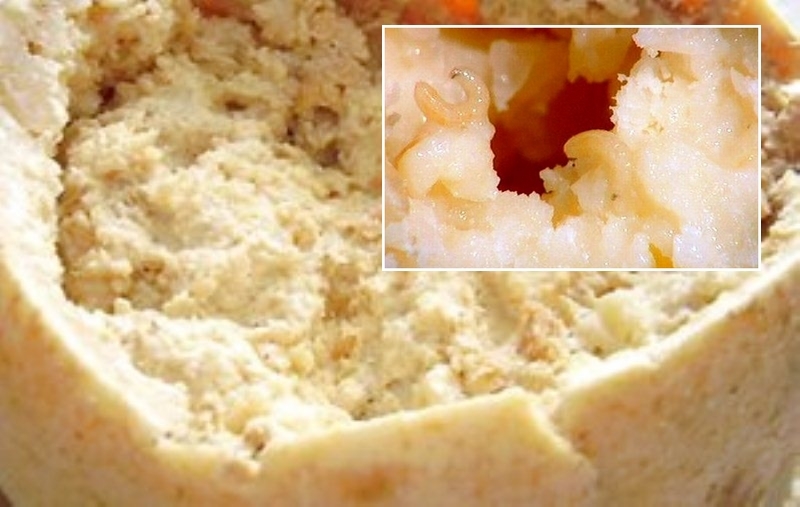 Casu Marzu, also known as Sardinian maggot cheese, is made from sheep’s milk cheese and contains live insect larvae, and is only available on the black market. Some diners often clear the cheese of larvae before consumption. We don’t blame them! Puffer fish is a little bit different to the fish you’ll find in store, as it is so poisonous that it can easily kill someone – as it’s 100 times more potent than cyanide. 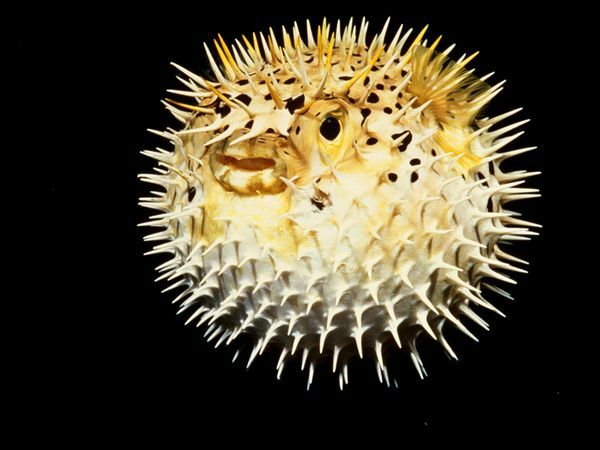 If a diner receives a lethal dose of the puffer fish toxins then they will quickly die of asphyxiation. The toxins must therefore be removed by specifically-trained chefs, who are licensed and certified by the Japanese government. Stick to Tuna! 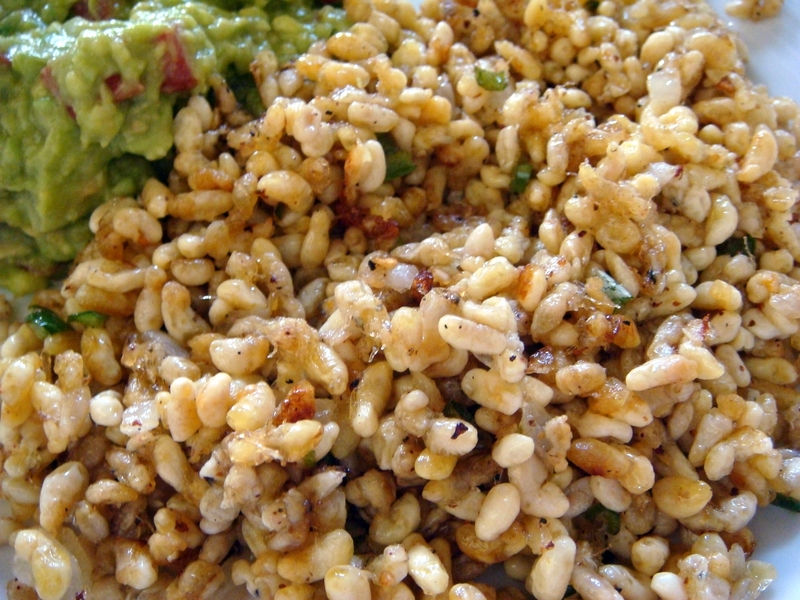 Mexico definitely love their ant delicacies, as escamoles are the eggs of the giant black Liometopum ant, which is highly venomous. They have the texture of cottage cheese, and are often served inside a taco with guacamole. 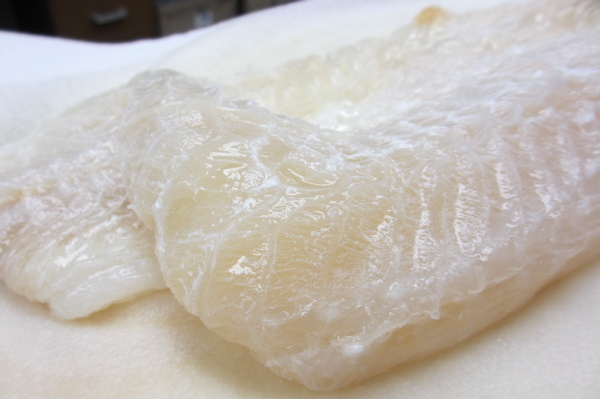 Lutefisk is a Norwegian larvae cheese that features cod that’s been marinated in a lye solution for many days. For those who don’t know what lye us, it is a powerful industrial chemical that’s commonly used for cleaning drains, killing plants, powering batteries and de-budding cow horns. It can even dissolve silver cutlery. Why not wash the bad taste of all those scary foods out your mouth and take a look at 10 Doritos Facts to Make Your Tummy Rumble.